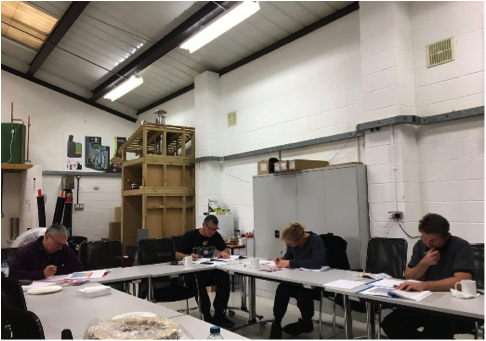 We have now successfully completed the first 2 HETAS Solid Fuel Plus+ H003DS and H006 Combined Courses at our Worcester Centre with another scheduled in for the w/c 20th November 2017. Throughout this course we provide professional training to candidates who are interested in developing their skills and knowledge in carrying out Solid Fuel or Wood burning Stove installation. Candidates are either brand-new to the Solid Fuel Industry or do not meet the pre-requisites required for the H003DS. Within this course, there is a balanced combination of theory and practical installation training, within out realistic working environment, in order to prepare candidates to undertake the H003DS and H006. Throughout the week these activities are documented and allow the candidate to build a portfolio of evidence which then shows that they can meet the pre-requisites of the H003DS/H006 that they did not prior to the start of the course under the strict guidance of one of our Educational and Industry experts. 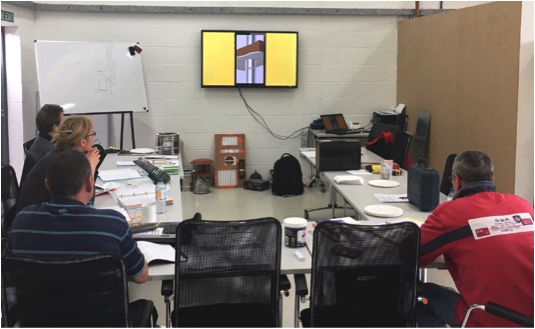 Throughout this course all candidates are be assessed on regulations, installation, service and maintenance procedures. These are undertaken as a combination of written and practical activities with an assessor. As educational experts we are confident that we can support all learners individual needs throughout the entirety of the learning and assessment process. Please just let us know if you require additional learning support as we pride ourselves on making sure that everyone is able to access the courses we deliver. You can successfully complete this course without any previous experience in the Solid Fuel industry, however, it is suggested that you have transferable practical skills as these are necessary for this course. Installation of dry stoves, fire backs and lining chimneys. Dry Solid Fuel appliance service and maintenance. 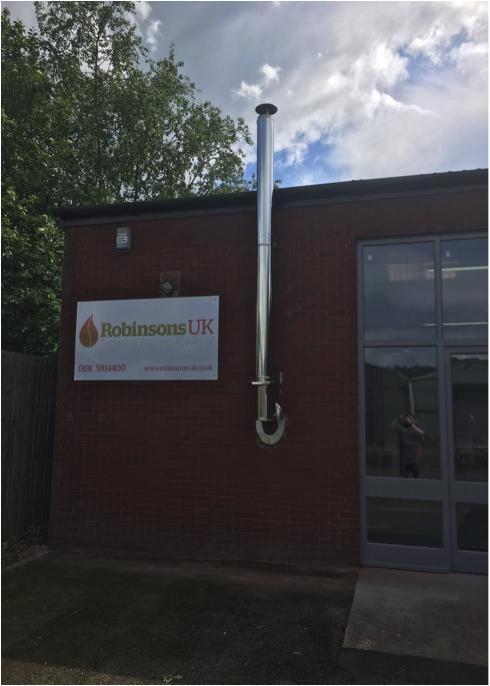 Installation & Testing of prefabricated metal twin wall rigid chimney systems – internal to the property. Do you know anyone who would benefit from a career change? Spread the word.